State officials say school district has taken appropriate steps to prevent students, staff from being exposed to heavy metals. 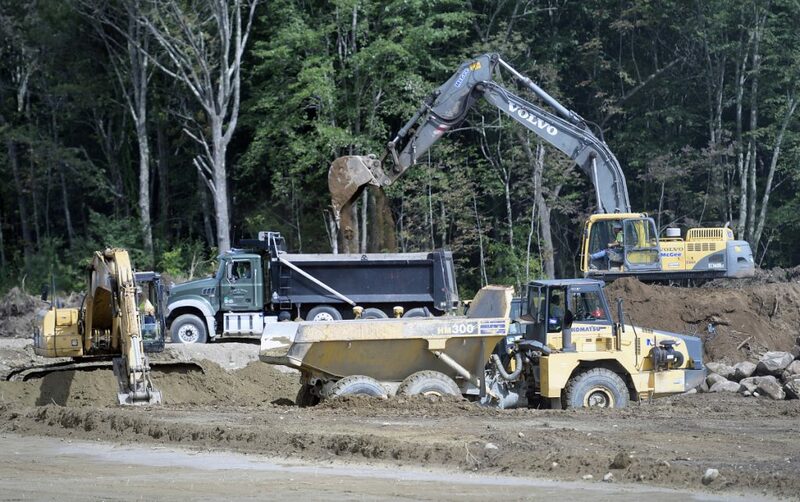 MONMOUTH — Elevated levels of arsenic have been found in the soil where Regional School Unit 2 is currently building a new school, but state officials say the school district has taken appropriate steps to prevent anyone from being exposed to the heavy metals. RSU 2 discovered the high arsenic levels two years ago, after learning that pesticides were probably sprayed over the site of the future school when it was a commercial apple orchard between 1954-1986. Given the historic use of the land, state guidelines required the district to test for lead, arsenic and another chemical, DDT, that were all used in pesticides, according to documents from Oak Point Associates, the architecture firm that’s coordinating the project. In 2016, RSU 2 did multiple tests of the soil and found high levels of arsenic on the south side of the property. The greatest concentration of arsenic was 60.1 parts-per-million, according to Oak Point Associates’ remediation plan. That was almost quadruple a level that Maine DEP has set for requiring remediation, 16 parts per million. 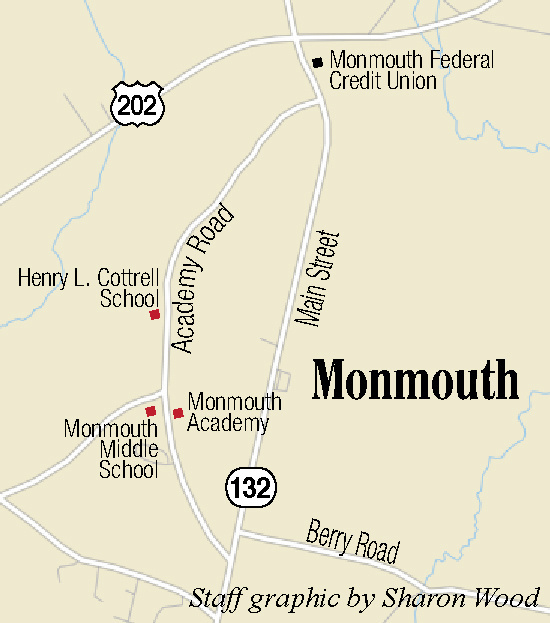 The new school will be located at 130 Academy Road, just north of Monmouth Academy, and will replace two other schools in that section of town, Monmouth Middle School and Henry L. Cottrell Elementary School. The school is being paid for with state dollars and is expected to open as soon as January 2020. On July 31, local officials and students broke ground on the project. This year, the school district bought the land from the Monmouth Water Association. Before the Monmouth Water Association acquired the land in 1986, it was run by Chick Orchards Inc. for about 30 years, according to a remediation plan developed by Oak Point Associates. Bill Zima, superintendent of Regional School Unit 2, did not respond to an email seeking comment late last week. 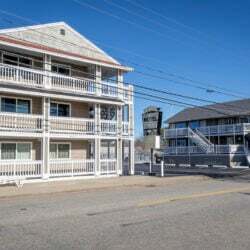 Jonah DeWaters, the civil engineer at Oak Point Associates who has been developing the project, said the district has done its “due diligence” to consult with the Maine Department of Environmental Protection and ensure the arsenic is safely contained. “We worked very closely with the DEP to make sure we could move the contaminated soil in compliance with their requirements,” DeWaters said. Arsenic is a naturally occurring element that is found in soils, sediments and ground water, according to the U.S. Centers for Disease Control. The metal also has been used in non-natural compounds including pesticides, paints, preservatives and medicine. Exposure to low doses of arsenic in water and food may be common, but researchers have associated long-term exposure to high doses with skin disorders, a heightened risk of diabetes, high blood pressure and several types of cancer. There’s also evidence that child development can be hindered by exposure to high concentrations of arsenic in drinking water, according to researchers at Dartmouth College. On average, the Maine Department of Environmental Protection normally receives between 40-50 applications a year from entities that want to deal with a contamination of heavy metals, petroleum or other pollutants, said Nick Hodgkins, an oil and hazardous materials specialist with Maine DEP who oversees the legal program for groups to voluntarily clean-up a contamination. Of those, roughly 12 usually involve an arsenic contamination. 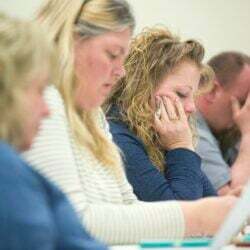 Hodgkins, who has seen at least two other cases of schools being built on former apple orchards, said that RSU 2 developed a “robust” plan to address the arsenic contamination. The district has moved the soil that contained the arsenic to a different part of the site and buried it under about 7.5 feet of earth, according to the plan that was approved by Maine DEP. Under the plan, a bright orange layer of textile has also been placed over the contaminated earth to mark that it’s there. Grass will be planted on top of the protective soil, and that area will eventually become a multi-purpose field, according to Oak Point Associates’ designs. “I would say that the arsenic at the levels that they found on this property, and at the levels in the soils they then covered and capped on this property, are not leaching into the ground water,” said Hodgkins. The only risk from the arsenic would be direct physical contact with people, he said, but that’s unlikely in this case, given the large amount of material placed over the contaminated soil. He credited Oak Point Associates for being proactive in testing the soil and addressing the contamination early in the planning process. Hodgkins noted there are other protections to ensure the district follows its remediation plan, including environmental covenants that are filed with the Kennebec County registry of deeds, an initial inspection by Maine DEP when the project is complete and ongoing reporting requirements. The district also can’t install a drinking water well or extract groundwater without additional approval from the state.